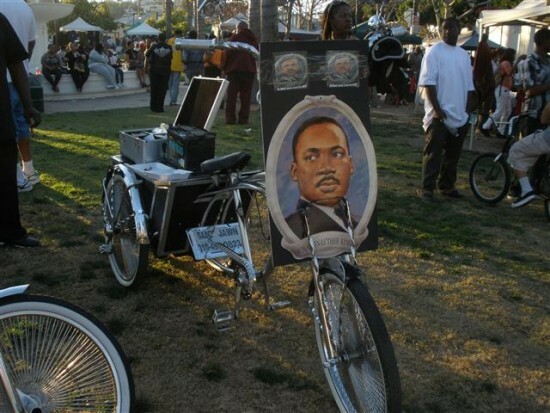 Of course, I spend several hours a week doing service to my community in various forms, so I just wanted to enjoy MLK Day by heading down to Leimert Park to enjoy the annual Kingdom Day Parade, which runs from Martin Luther King Jr. Blvd and Western Avenue to Crenshaw, and down Crenshaw to Vernon Avenue in Leimert Park. 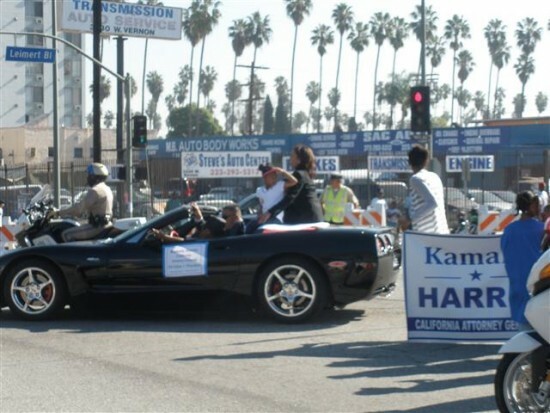 California Attorney General Kamala Harris rides by in the Kingdom Day Parade. I only got to catch the last half of the parade, but it was filled with floats, marching bands, local community groups, local businesses and public officials, including newly-elected California Attorney General Kamala Harris, the state’s first African American (and Asian American, too!) attorney general. Although it was mid-January, the weather felt like the Fourth of July; it was in the lower-mid 80s and ice cream and popsicles were the most popular items found in the crowd. A great time on a great day. 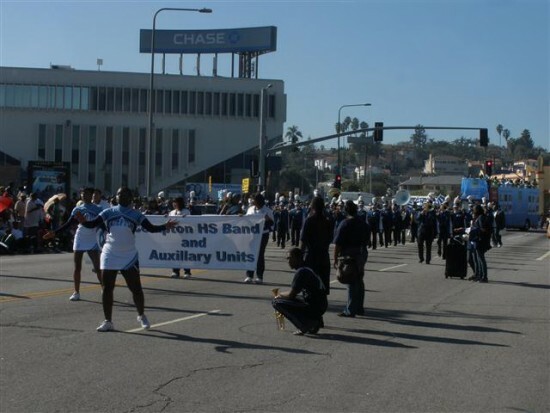 Best of all, us Angelenos didn’t even have to wait until Summer for this kind of atmosphere! 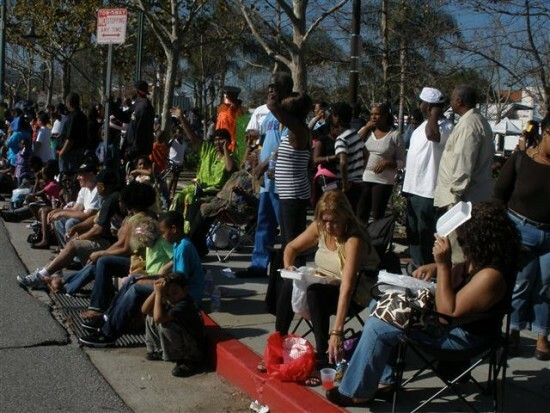 The crowd enjoying the parade from Leimert Park. 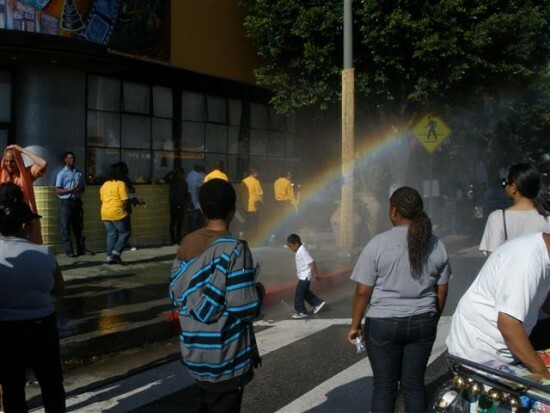 Yes, it was that hot that people sought relief from the heat from a fire hydrant mist. 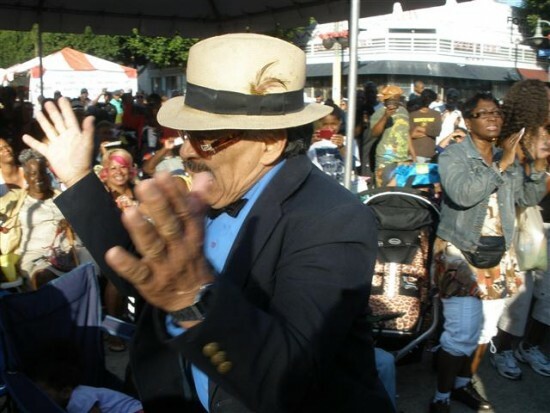 This senior citizen simply got DOWN, to the delight of the crowd! 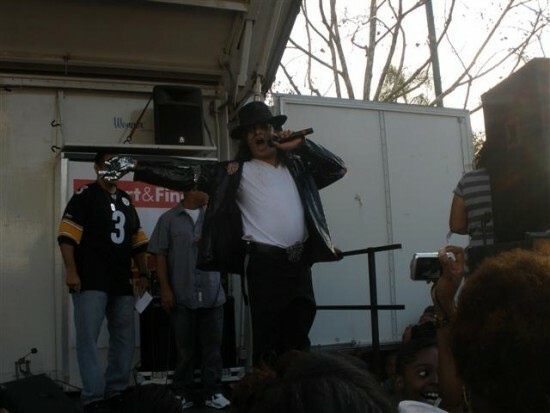 Michael Jackson impersonators are the new Elvis impersonators. 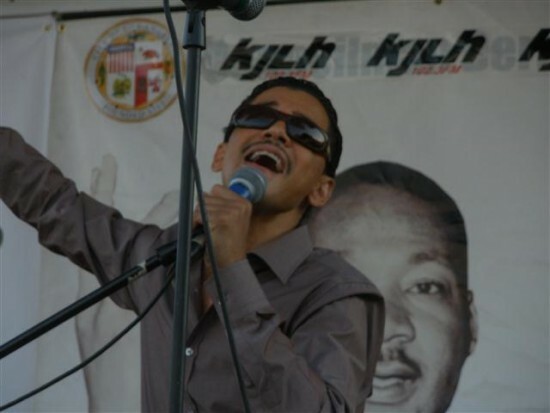 El DeBarge threw down his falsetto. 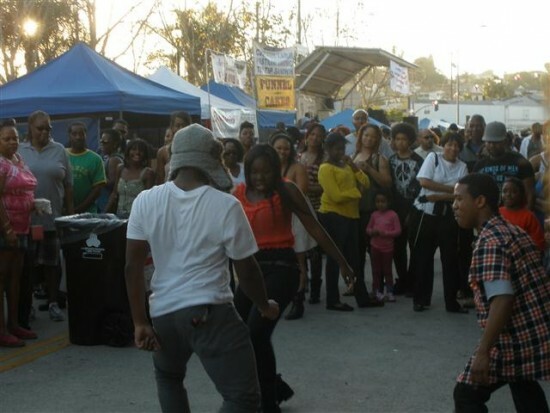 These dancers provided their own entertainment by the park!